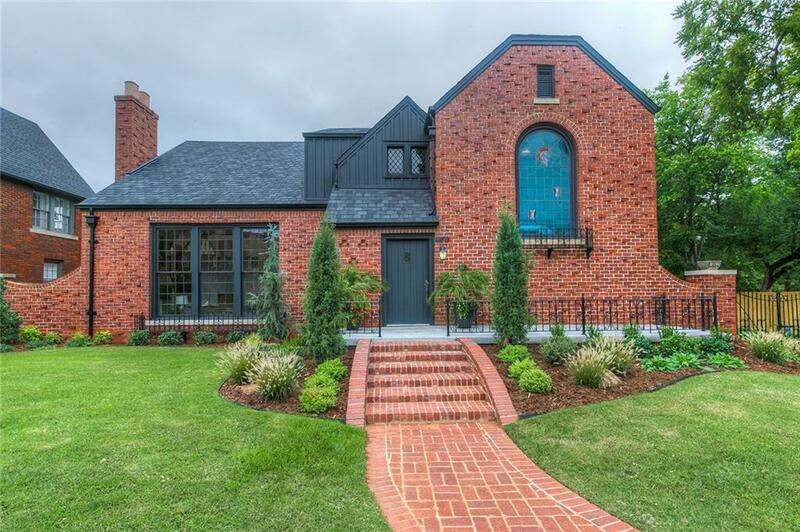 An architectural gem, this circa 1928 English Tudor boasts a storybook setting. A home with both charm and functionality has been thoughtfully revived. The amazing architectural lines of the house coupled with the original design and iconic stained glass window is only steps from the Capital Dome making it a showplace among its peers located in Historical Lincoln Terrace. The expansive light-filled living area is surrounded by eight-foot wood cased windows, original stone carved fireplace and 20ft vaulted cathedral ceiling with a charming Juliet balcony. The formal dining room complete with expansive arched wood windows and french doors opening to a sunroom or flex space. This home has 4 bedrooms with a master ensuite on the first and second floor, over the garage guest quarters with kitchen bathroom and living spaces. The property is under contract, Backups welcomed.